Jemima Milk, Our spunky December Noble Pet! Hi, My name is Jemima Milk . I'm a 3 1/2 pound Yorkie. I have an older brother named Jinx who I annoy all the time. I am obsessed with designer fashion items. What would life be without Gucci? 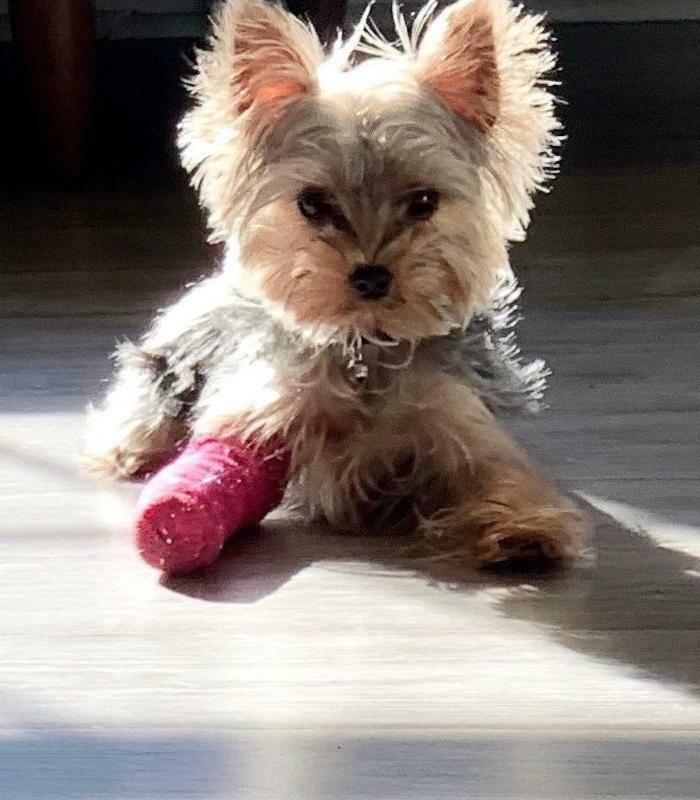 I just recently got my cast off from a broken paw. I'm so thankful for Dr. Johnson , who took excellent care of me. Thankfully my cast went along with my sense of style, I mean look at it! Fabulous!